Not a company to focus purely on something as minor as an IPO, Uber is rolling out a voucher program while the company prepares to go public. The voucher program (demonstrated to the right) plays on the core ridesharing in a novel way by allowing businesses to offer ride vouchers to customers. The service falls under Uber for business umbrella and has been in beta since late 2018. So far, there are a handful of big businesses and entertainment outlets using the vouchers, including Live Nation, MGM Resorts, and TGI Fridays. Westfield, an Australian mall operator, uses it to get customers to and from its malls. And for TGI Fridays, new CEO Ray Blanchette said it was a great way to push more drinks without putting anyone in danger. “We at TGI Fridays are excited about launching Uber Vouchers as it will provide another opportunity to ensure we are taking care of our guests who are enjoying our great bar experience and providing them a safe and responsible travel option back home,” stated Blanchette. One example application is including the ride in a package with dinner and a show. The company can add pick-up and drop-off locations or timelines for the rides and send the vouchers in a number of ways. 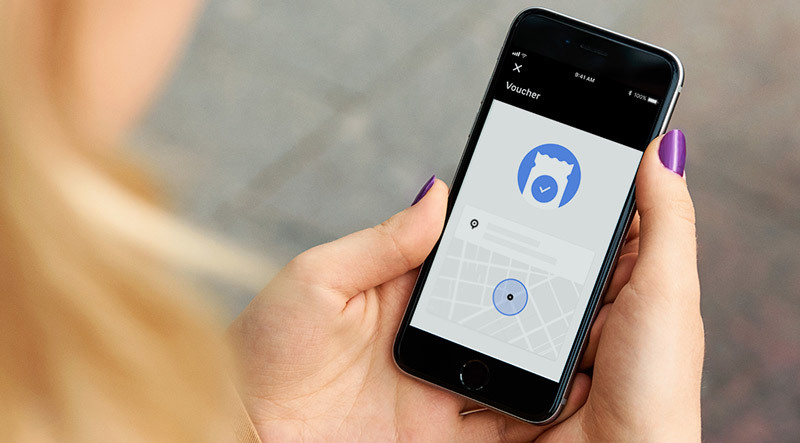 When customers redeem the offer, it resides in the Uber app until it expires.